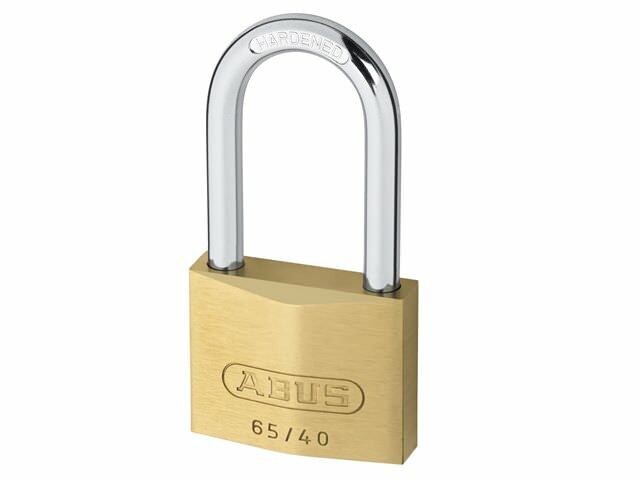 We stock a vast range of different padlocks to keep your tools, equipment and machinery secure and protected. 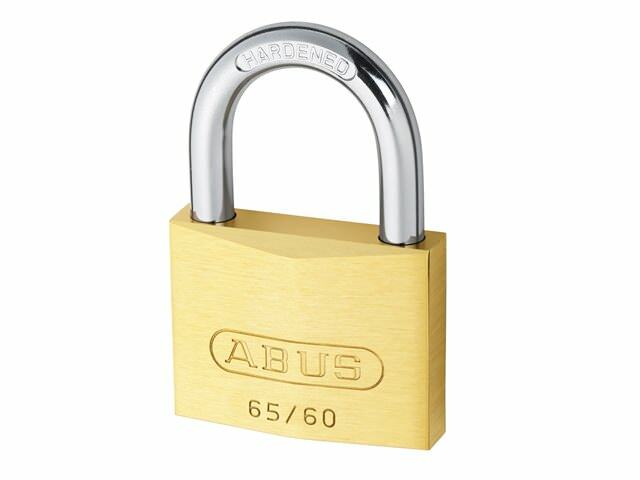 The products in our range include diskus padlocks, combination padlocks, laminated padlocks, shutter padlocks, aquasafe all weather padlocks, brass padlocks, close shackle padlocks, long shackle padlocks and heavy duty padlocks. 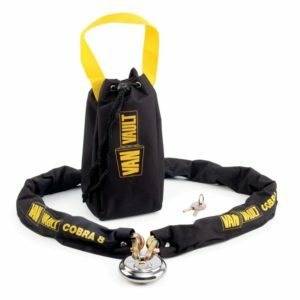 After a purchase we like to return the customer with a fast delivery on all of our products. 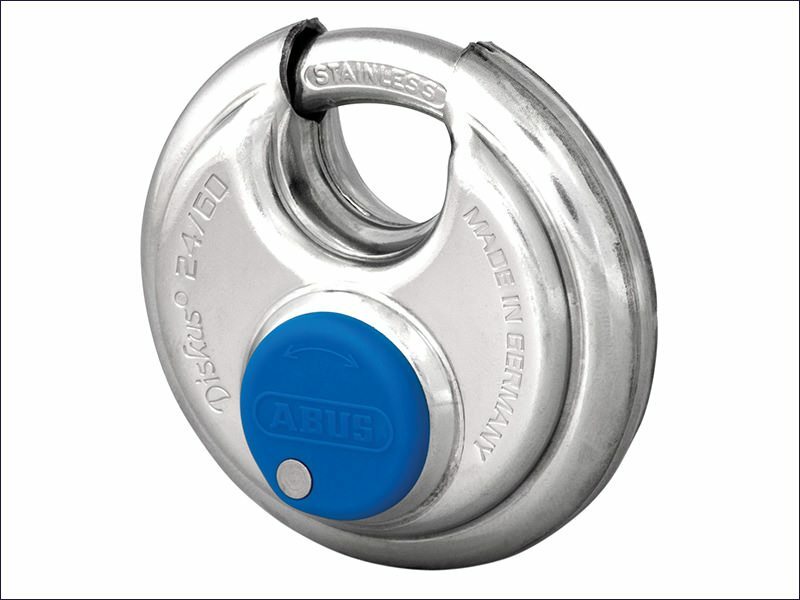 Our following day delivery service is also available on items we currently have in stock. We even provide free deliveries on any order over £100. Here at Sibbons our sales team will happily quote you for any size order, if you have any questions about the business or a product we stock, contact us here at Sibbons on 01206 823448, email us at: sales@sibbons.co.uk or via the website. 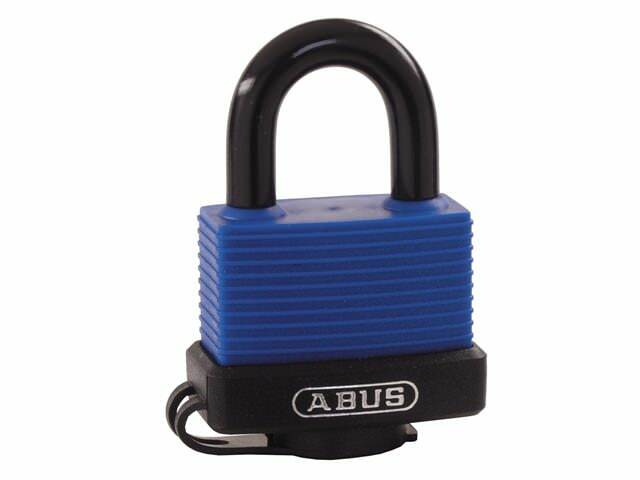 The Abus 158/50 Combination Padlocks has a four digit resettable coded mechanism. 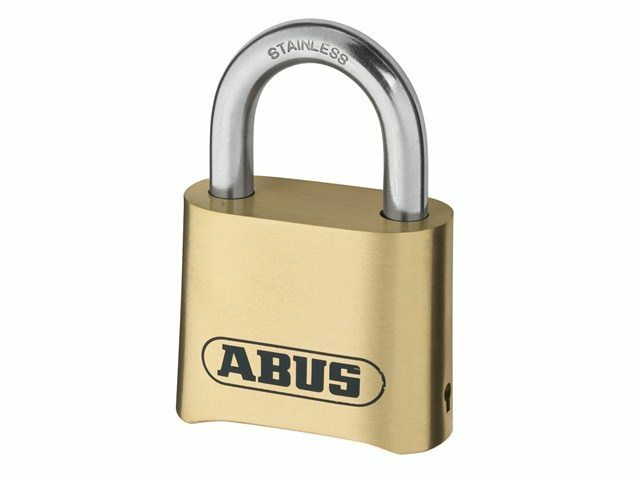 The Abus 180IB/50 Brass Combination Padlock Long Shackle is a high quality stainless steel shackle, durable for many varied applications. 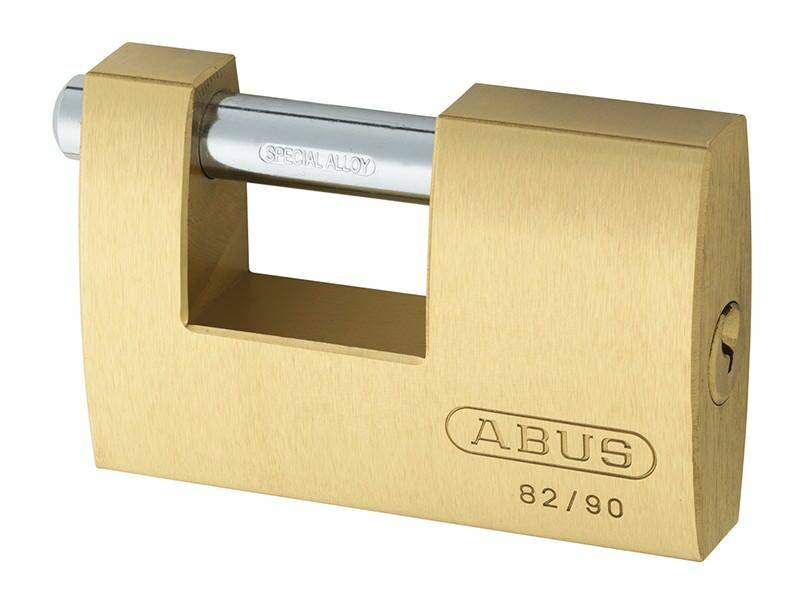 The Abus 180IB/50 Brass Combination Padlocks has a solid brass body and mechanism with a stainless steel shackle to offer excellent resistance against corrosion. 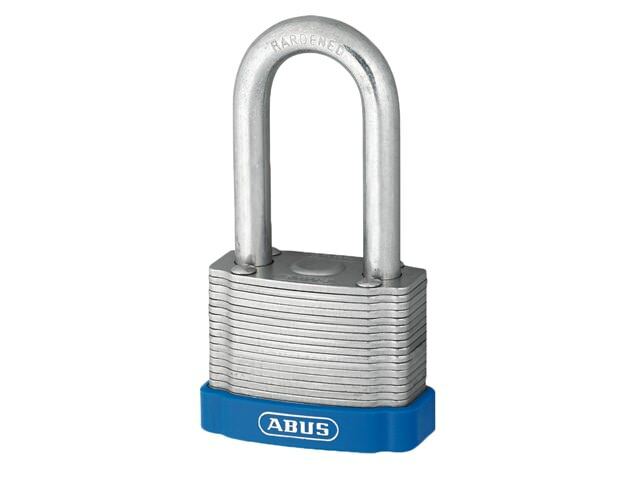 ABUS 190 Series heavy-duty open shackle combination padlock with a 4 digit resettable combination. 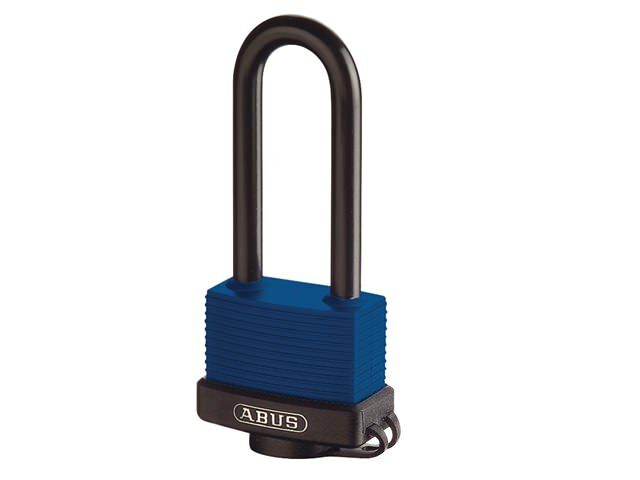 The Abus 24IB series padlock with original Diskus design gives 360° protection against theft and the weather. 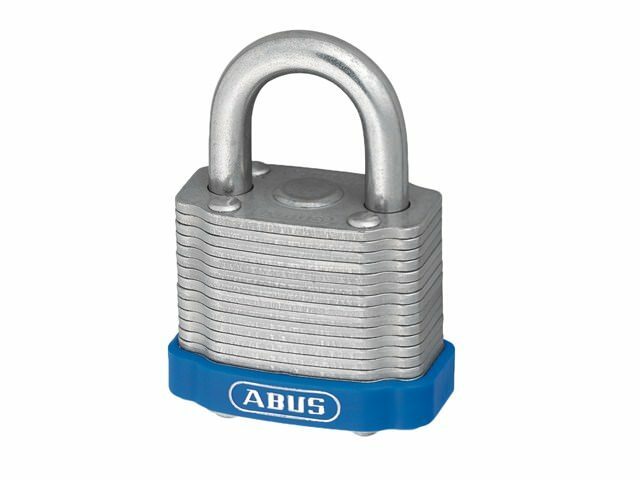 Abus Diskus 26 series padlock has a shackle manufactured from hardened steel alloy and is protected in a stainless steel body. 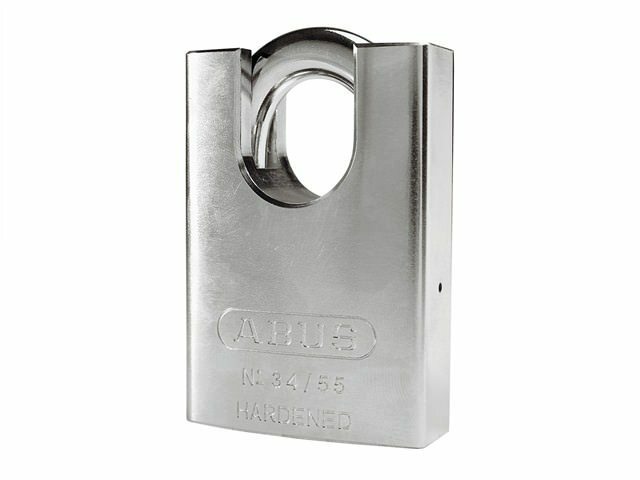 The Abus 34/55 55mm Hardened Steel Padlock Close Shackle is a hardened steel alloy shackle and has a durable tough lock body. 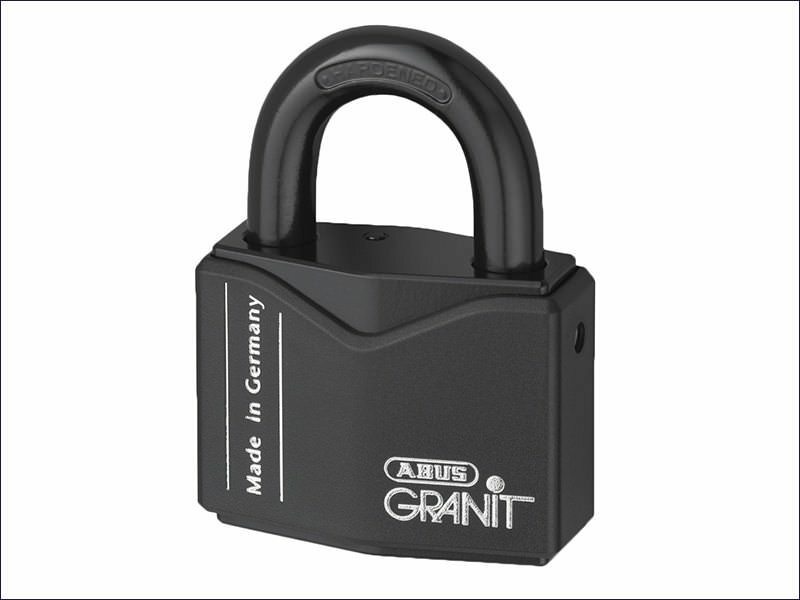 The ABUS 37 Granit PLUS solid steel open shackle disc cylinder padlocks offer the highest protection against manipulation (6 Tonne pull resistance). 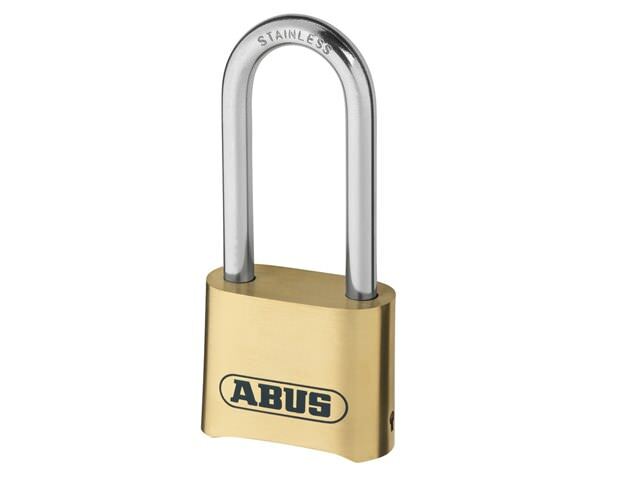 The Abus 41/40 40mm Laminated Padlock are laminated steel padlocks which are made up from individually plated laminated steel sections with the bottom most plate hardened. 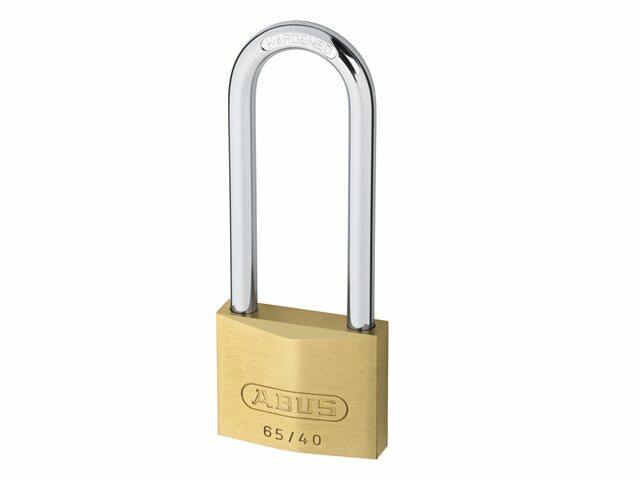 The HB Brass Padlocks Long Shackle features a precision pin tumbler cylinder and the inner components of these padlocks are also made from non-corrosive materials. 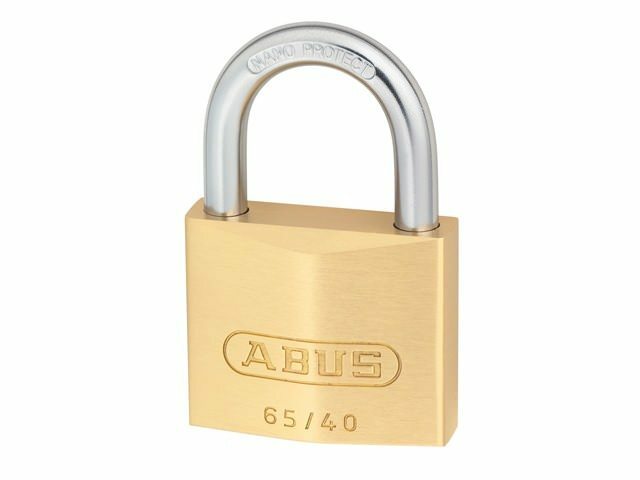 The Abus 65/40 HB 40mm Brass Padlocks Long Shackle has a shackle which is produced from hardened steel and has a precision pin tumbler cylinder. 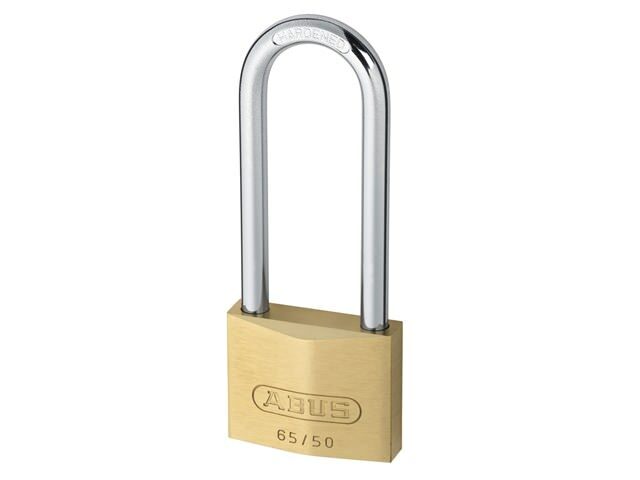 The Abus 65/50 Series Close Shackle Padlock is suitable for low to medium security requirements and is also suitable where a strong requirement for service performance and durable lifetime. 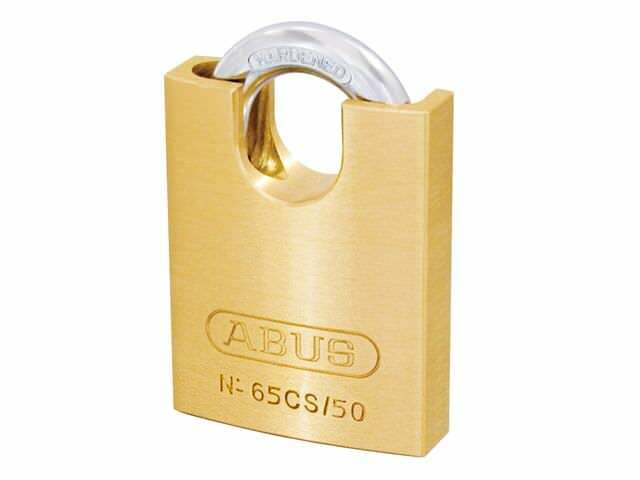 The Abus 70IB/45 Series Aquasafe All Weather Padlocks has a body which is manufactured from solid brass and is sealed with a shock absorbing material designed to protect the cylinder against water and dirt. 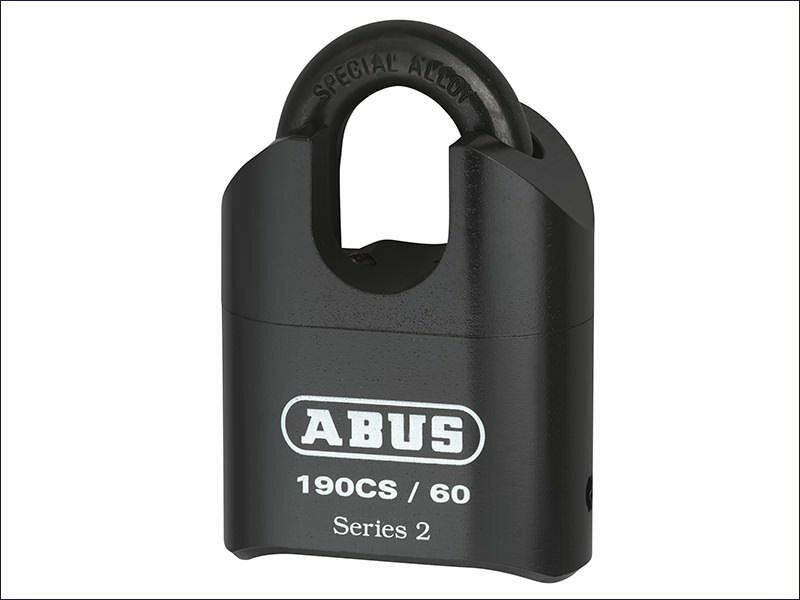 The Abus 82 Monoblock shutter padlocks have a solid brass body and a through hardened steel alloy shackle which rotates when attacked. 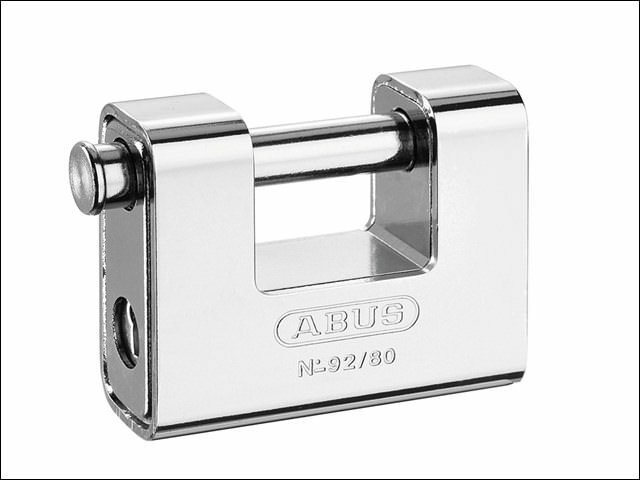 The Abus 92/80 Monoblock Shutter Padlocks shutter padlocks have a solid brass body encased in hardened steel jacket and a through hardened steel alloy shackle which rotates when attacked. 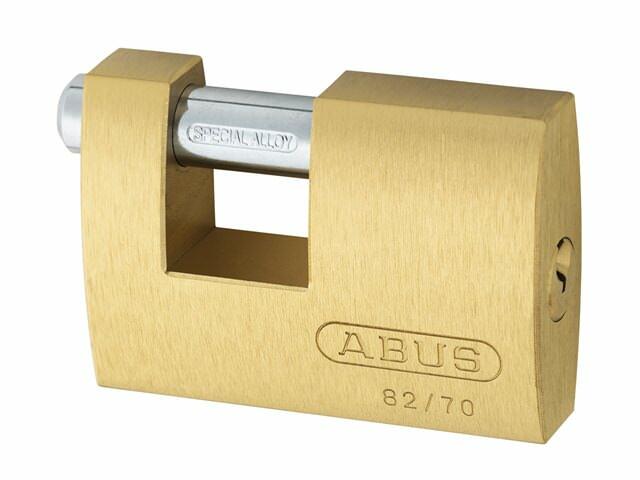 5 Pin precision cylinder with anti-pick mushroom pins and rustfree components. 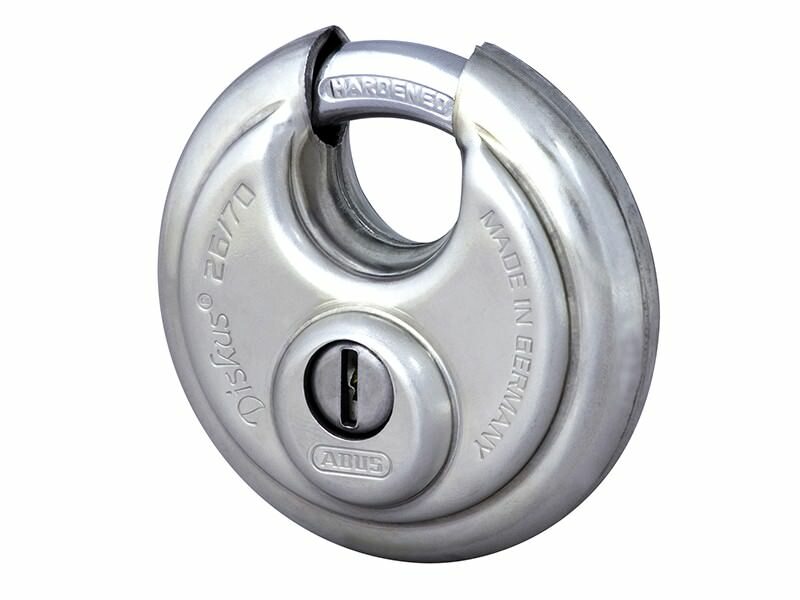 Cobra 8 is a hardened steel security chain with protective cover for securing tools and equipment to permanent fixtures. 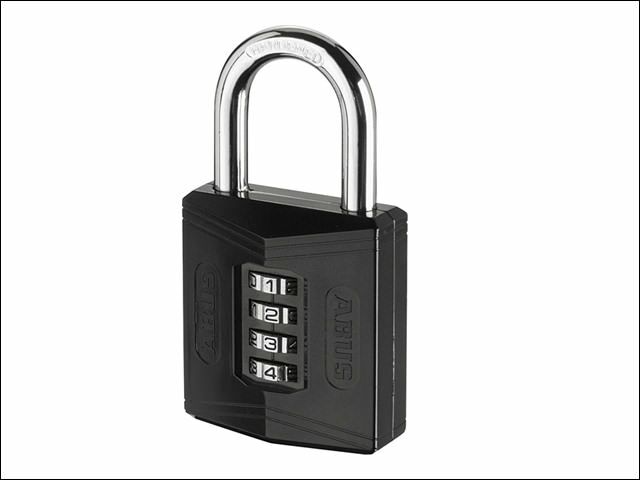 Complete with a 70mm disc lock it safeguards larger items that won't go in a security container.